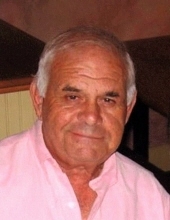 Jay M. Segall, 86, of Marietta, Ohio passed away peacefully on April 3, 2019 at Marietta Memorial Hospital. Born in Brooklyn, New York in 1932, his family moved to Olean, New York the same year where they owned several women's specialty stores. Growing up in Olean, he graduated from Olean High School in 1950. That fall he entered Syracuse University where he was a member of the Varsity track team. He graduated Syracuse in 1954. After College Jay entered the Air Force during the end of the Korean War. A First Lieutenant he was adjutant for the 335th Fighter Squadron stationed on the Island of Hokkaido, Japan. During this time he played football for the Air Force Asian League. Returning to civilian life in 1956 he became President of Segall's Inc. Active in city affairs, he served as Chairman of the Olean Urban Renewal Committee. In March of 1960, Jay met Judy Adkins of Williamstown, W. Va during a business trip to New York. Married in August of 1960, they lived in Olean, New York until 1980, raising two wonderful children, Jeffery and Suzanne. Aside from his business and civic duties, he was an avid golfer, raquetball player, skier and tennis player. In 1980, Jay and Judy relocated to Westfield, New Jersey where he became the East Coast Representative for Les Bernard, a high end costume jewelry firm and traveled from Maine to Maryland, including Pennsylvania and New York state. The last five years of his career he was the New Jersey Sales Representative for Anthony Sylvan Pools, building in-ground swimming pools for clients. Jay retired in 2003, moving to Marietta, Ohio with his wife Judy. Jay was a member of B'nai Israel Synagogue, Olean, NY; Temple Emanu-El, Westfield, NJ and B'nai Israel Parkersburg, W. Va. He belonged to the Bartlett Country Club, Olean, NY, the Westfield, NJ Tennis Club and Plainfield, NJ Tennis Club. His interests included the theater, art, travel, jazz, New York City, the Hamptons, New England, the beach, movies, talking politics, sports, and enjoying a good cup of coffee and always his family. Jay M. Segall is survived by his wife, Judith Adkins Segall, his children, Jeffery (Eva Fontheim) and Suzanne Segall Taylor; his niece, Judy Skolnick and her husband, Josh and their two children, Rebecca and Alex; his brother-in-law, Stephen L. Adkins and his sister-in-law, Susie Stephan Adkins and their three children and grandchildren. He was preceded in death by his father, Joseph Segall; mother, Ruth Resnicoff Segall; his sister, Nancy Levine; his brother-in-law, Dr. Seymour Levine; his father-in-law Ernest Adkins and mother-in-law, Roberta Archer Adkins. A celebration of Jay's life will be held for friends and family beginning at 11 AM on Saturday, April 27, 2019 at Marietta College, Andrews Hall - Great Room, 215 5th Street, Marietta, OH 45750 with a brunch to follow. In lieu of flowers, donations may be made to the Marietta Fire Department, 301 Putnam St., Marietta, OH 45750. To send flowers or a remembrance gift to the family of Jay Segall, please visit our Tribute Store. "Email Address" would like to share the life celebration of Jay Segall. Click on the "link" to go to share a favorite memory or leave a condolence message for the family.